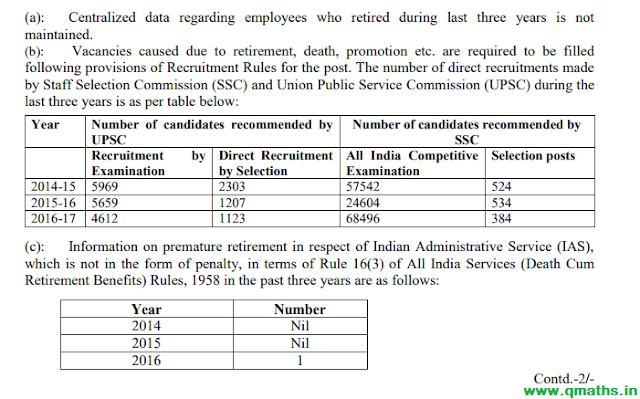 As per the Annual Report on Pay and Allowances of Central Government Civilian Employees 2015-16 as on 1.3.2015, published by Pay Research Unit, Department of Expenditure, Ministry of Finance, the number of vacant posts in position in various Ministries/Departments is 4,20,547 out of total sanctioned strength of 36,49,468. P.S. : This is not about vacancy, its just status of vacant posts.